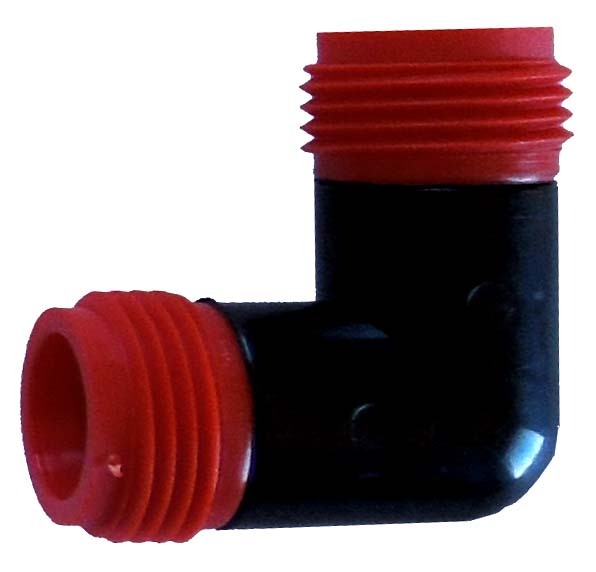 Use .700/710 Elbows to make 90 degree turns in 1/2" drip tubing (.700, or 710 OD), and or red stripe soaker hose. Use .700 Elbows to make 90 degree turns with 1/2" poly tubing (.700" OD), and or .700 soaker hose. Poly tubing can kink if you try to make a tight turn without an elbow. Compression fittings require no glue. Or use the threaded end to attach a female fitting.